Have you ever wanted to run your own profitable classifieds website, but didn’t know where to start? Now you can launch your own classifieds website in seconds with the yAds php script that supports Paymentwall payment gateway system. You can either collect direct payments or let your users complete offers instead and interact with your classifieds website. Free posts are limited to lay at the bottom of the main index page and only ten most recent ones will be displayed. Users can however bump their classifieds by purchasing a bump through the Paymentwall gateway. You can also enable offers so instead of paying you, a user could simply bump their message by completing an offer! The bumping system adds a clever competition element to the website. Because each email address is allowed only one advertisement, it makes it tedious to create a new email address every time so instead the users will be drawn to bumping their ads or editing the details. The same system that lets your users bump their classifieds, allows them to order a VIP membership or make their announcement stand out from the rest using featured ads. VIP users will have unlimited free bumps and their advertisement will remain on top of the website within a paginated area so even if they don’t continue to bump any more, their advertisement can be seen on older pages. Modifying the look of featured ads is as simple as editing a single CSS class! yAds supports a 120×600 skyscraper advertisement block in the sidebar and two 300×300 rectangle blocks in the footer. All of these can be easily modified because each ad block’s content is in a separate .php file. Simply copy and paste your own ad codes and you’re golden! The same is true for navigation links, simply edit their corresponding files and the script will automatically use the menu throughout the entire website. When your user first creates their own classifieds ad, the script will generate a random password that can be used to edit the ad details or update the photo. 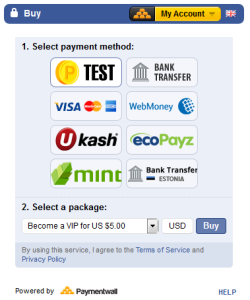 Without the password, the ad cannot be edited, but ordering a VIP status or bumping still works. After setting up your database, it’s only a matter of browsing to the install.php file using your internet browser and the script will create all the necessary MySQL tables for you. The structure of yAds is so simple that anyone with a basic understanding of CSS can modify the main.css to suit their needs. Custom designs are also a possibility, just ask! For just $27 USD you will get a license for 1 domain name and free lifetime support should anything break. Payments are processed through PayPal and I will send you the script to your PayPal email address within 24 hours after receiving your payment. Click here to go to place your order.